Product line includes reverse phase detection, phase loss sensors, and phase unbalance sensors. 3-Phase monitors are available in 50Hz, 60Hz, and 400Hz models. Available with unique housing styles, output contact array, and restart or trip delay. Models available to monitor Wye and Delta systems for abnormal conditions. Current monitors available in single or three phase. 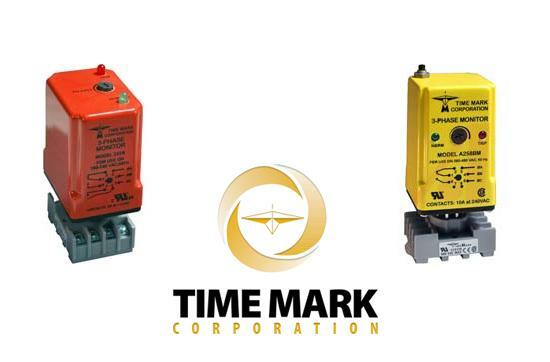 Time Mark phase monitors are available in a variety of configurations and all models will detect phase loss, low voltage, and reverse phase. Control Components is happy to offer you an extensive line including the popular A258B Time Mark three phase monitor. If you’d like more information please contact us or click the link below.